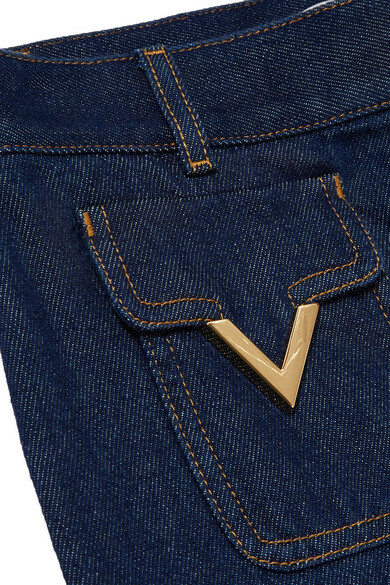 For Valentino's Resort '19 collection, Pierpaolo Piccioli looked back through the history of the house's logo - the 'V' shaped stitching and hardware on these jeans calls back to its '70s moniker. 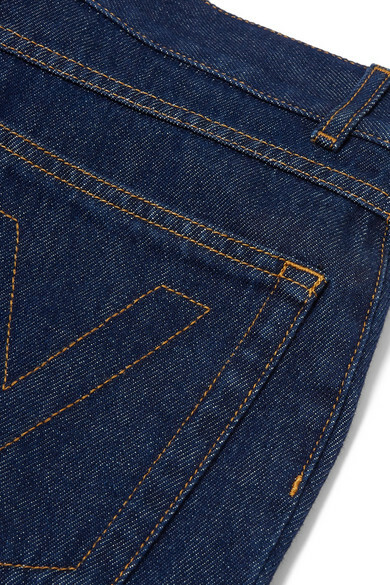 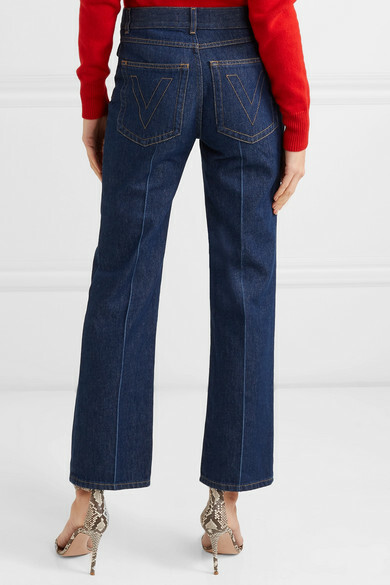 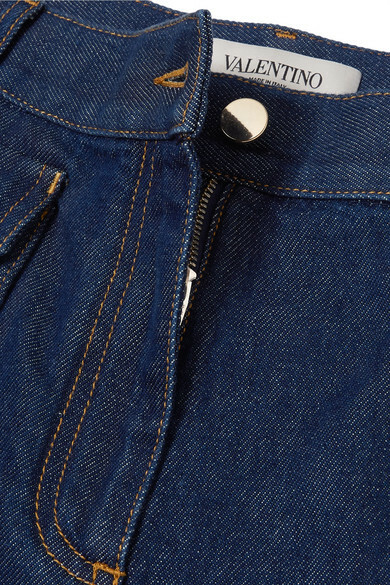 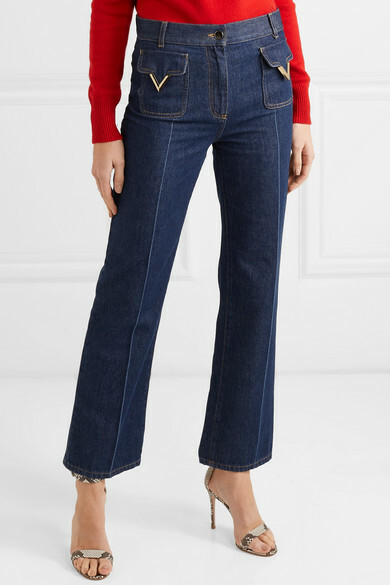 Inspired by vintage photos of Rome, they have a straight-leg shape and are treated with a classic dark-blue wash. Keep the flap pockets in focus by tucking your sweater into the waistband. 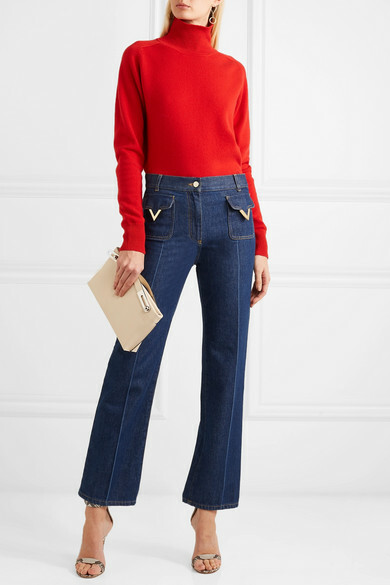 Shown here with: Victoria Beckham Turtleneck, Loewe Shoulder bag, Gianvito Rossi Sandals, Maria Black Earrings.